“And the teams for tonight’s match are…From the ‘Dead Man’s Hand'” – Reggie, Mick, Slim and Brian. Tonight they’re playing ‘The Lamb Fleece’. 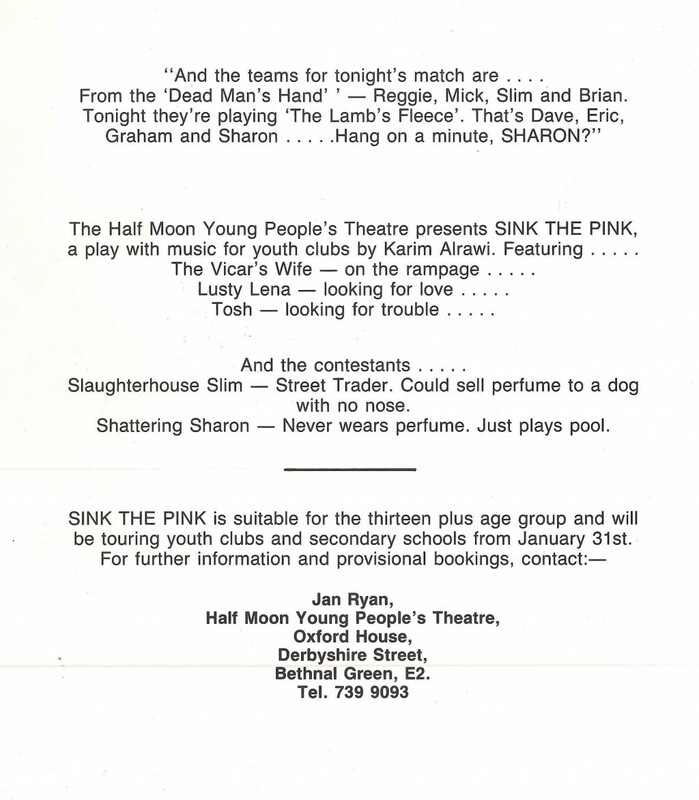 That’s Dave, Eric, Graham and Sharon…Hang on a minute, SHARON?” Sink the Pink was a play with music for youth clubs and featured characters. The Vicar’s Wife – on a rampage. Lusty Lena – Looking for love. Tosh – looking for trouble. And the contestants, slaughterhouse Slim – street trader. Could sell perfume to a dog with no nose. Shattering Sharon – never wears perfume. Just plays cool. 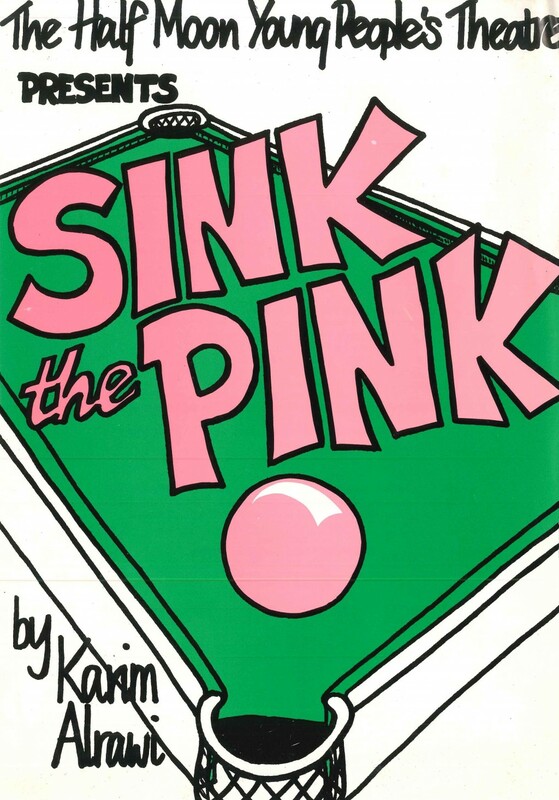 Sink the Pink was set around the game of pool – traditionally a male preserve, but this game was different as it featured Shattering Sharon who refused to let the fact that she’s a girl get in the way of her passion for the game. 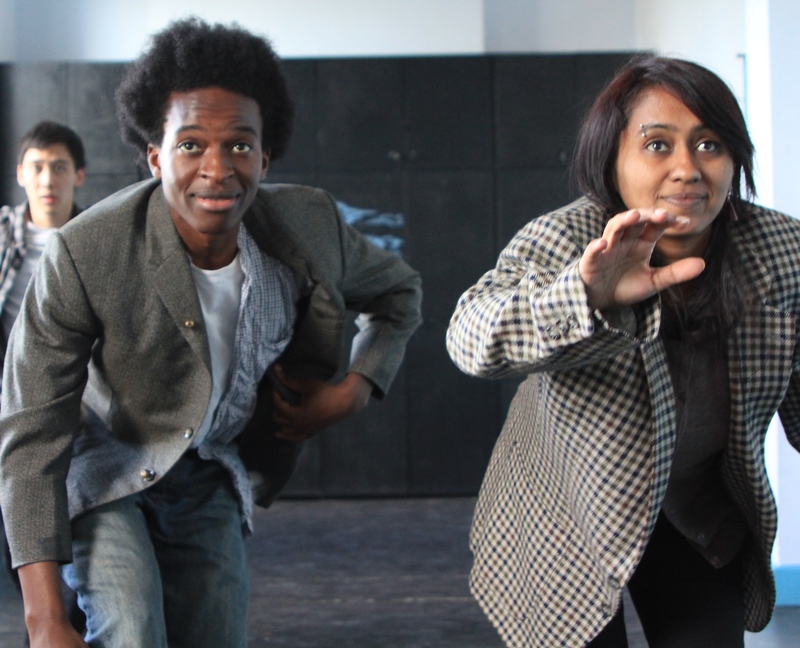 The show examined, through music and light-hearted dialogue, the way in which women are discriminated against in sport and looked at how Sharon tried to overcome these prejudices. 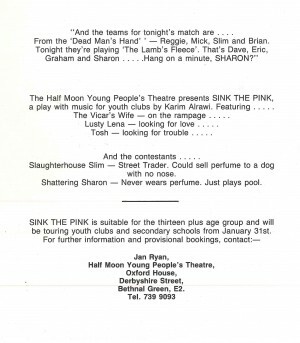 Ruth Sheen was an actor who performed at Half Moon Theatre on Mile End Road in the early 1980s and then joined the young people’s theatre company. 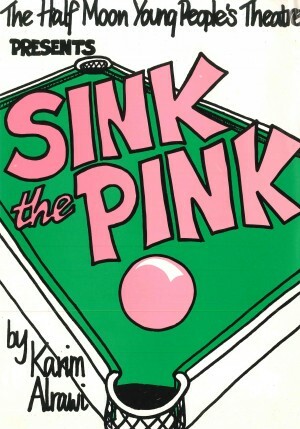 She talks about Sink The Pink, a play for teenagers that explored gender equality using snooker as the focus for the story. Interviewed by Khalilah Lubega.